Morten’s passion for food began when he was only 13 years old and worked in a pizzeria. Since then he has travelled the world and worked in several Michelin restaurants. At one point he worked in a restaurant in San Francisco and the all Mexican staff made tacos for him for lunch – in this moment, the love for tacos arose. 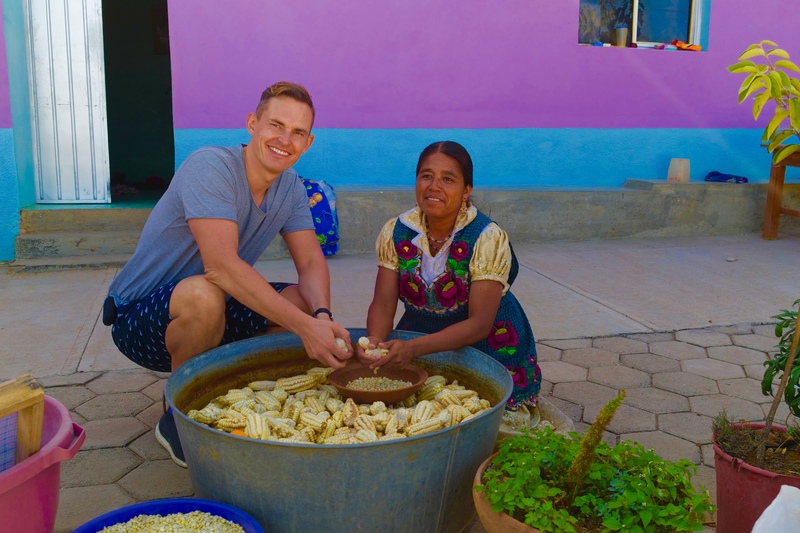 He quit his job and travelled through North and South America to taste every possible taco. He even offered to work for free in restaurants just so he could learn everything there was to know about the Latin American cuisine. Morten knew he wanted to open a taco bar in Copenhagen, but the concept was not clear to him yet – until he found the space in Blågårdsgade in Nørrebro. The idea for Blue Taco was born. He wanted to create a space where everyone spoke Spanish, a small Latin American bubble, giving the feeling of being in South America, and the concept of Blue Taco was developed in an interplay between Blågårdsgade and Morten’s own idea. The decision to make tacos of blue corn was a result of the location and the menu was developed through dialogue with the locals, who craved vegan food options. 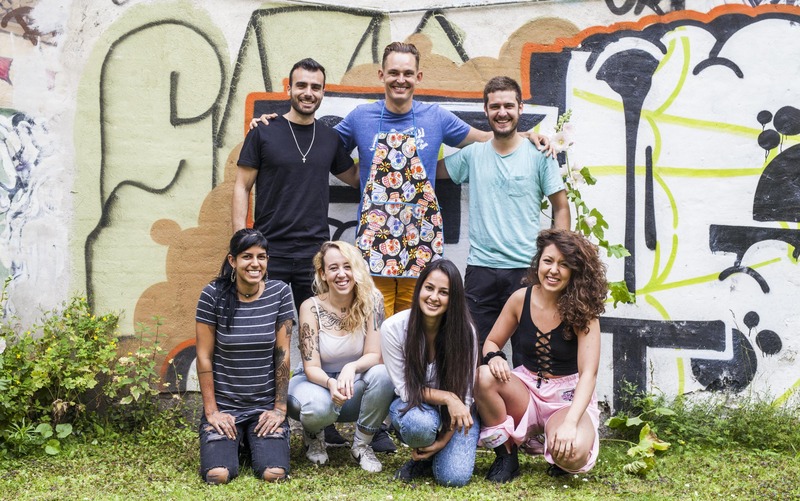 One of Morten’s biggest goals is to bring people together through food and with Blue Taco he wants to create a space with the atmosphere of love and openness he experienced when he was travelling in Latin America.